The Wilburn Custom Shop in Downtown Sandpoint Idaho sells digital keyboards, pianos, synthesizers, digital audio workstations (DAW). 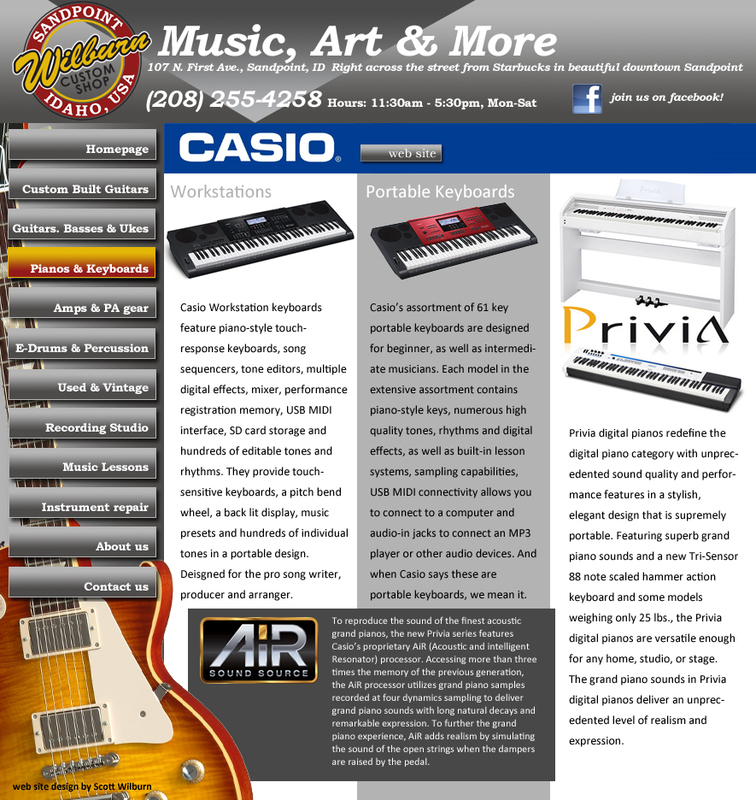 Authorized dealer for Casio Keyboards, Privia Pianos. Call (208) 255-4258. The largest Music store in Sandpoint Idaho.